When we first began working in this area in 2005, people laughed at us. 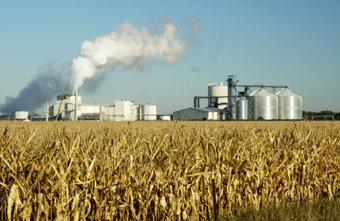 Now Chevron, Shell and BP have built or are building major facilities around the world to produce biofuels. Our assets include a micro reactor that allows us to efficiently build small, efficient processing plants directly at the source. Most major plants process only virgin vegetable oils. Our niche is to efficiently process smaller quantities of lower cost recycled and reclaimed oils, and build or partner with regional oil producers, such as a small farm community who may want to partner in a bio-diesel co-op. We envision putting small, standardized, high quality bio diesel plants in every major city in the US together with our recycling processing plants to provide complete green solutions to commercial waste challenges.